Well, I've been pretty busy these last few months making more Mini albums and just started applying for a place in Design Teams in some pretty cool paper craft sites across the Internet. I also have taken the plunge and entered into some Monthly Challenges, which I will go into in my next Blog with some links to the next lot of challenges. This week I am showcasing some more projects I submitted to design Team calls and Monthly challenges. 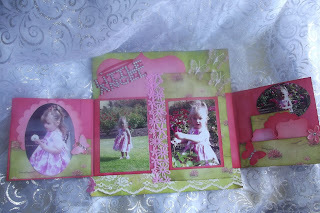 First is a Layout of my youngest Granddaughter, Julianna. 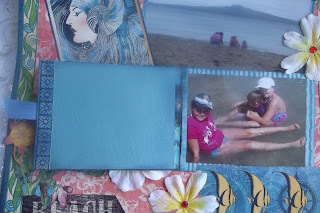 In this particular layout the main photos are mounted on a open out booklet containing more hidden photos and a pocket with 3 small tags for journaling. The next layout was a submission in Graphic45 monthly challenge- summer. 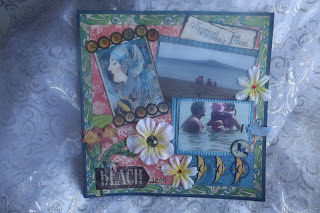 In this layout i used Graphic45's Tropical Travelogue papers (of course). the large tropical flower has a Paua shell (abalone)beaded charm that I hand sewn all the beads on and adhered to the center of the flower(how tropical is that!!). The large photo at the top left has 2 removable tags for the journaling, the photo underneath that has a ribbon tab to open and to reveal yet another photo and more space for journaling. I love aded these elements to my layouts as you can have more space to add more photos without over-crowding your layout. 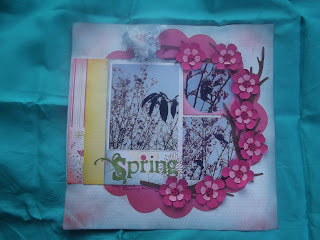 The final layout was submitted to Artfull Crafts, Timaru, in their September Challenge-Spring. Papers were Echo park's springtime. 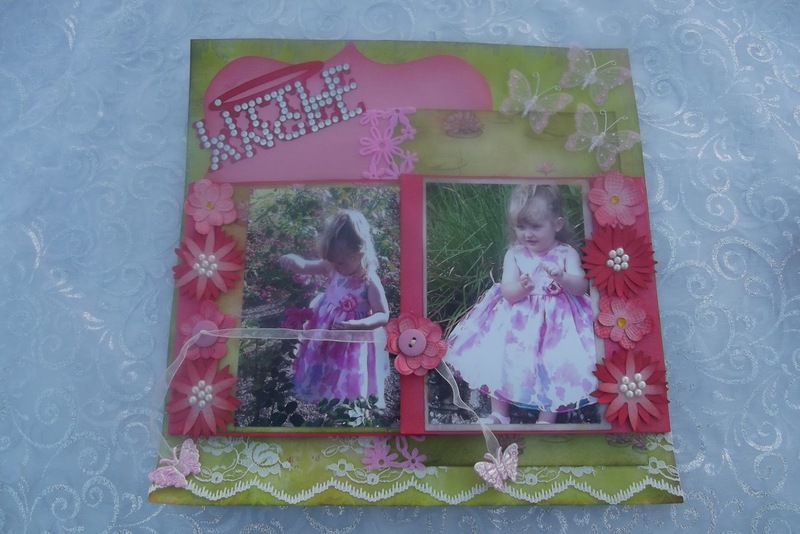 The flowers were cut using Tim Holtz Tattered Florals die cut. Here in New Zealand, Tui's are spotted more often during Spring, their song is so beautiful. Our Tui's are a Native and protected birds of New Zealand. The photos were taken in my eldest daughters garden, they were feeding on the necter from the blooms. I hope you enjoy browsing through these, will have some more paper craft eye candy in my next blog, until then take care..